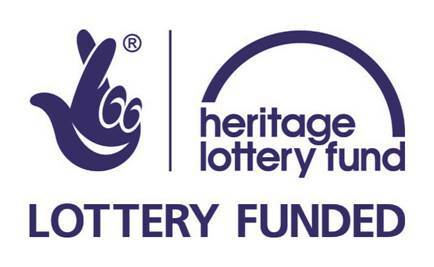 The Heritage Lottery Fund (HLF) hosted a start-up meeting at their office in Edinburgh today for organisations that had recently been successful in their applications for funding and fittingly began by offering their congratulations to all new grant holders. The informal afternoon kicked off with an inspirational presentation from a past grantee, Helena Anderson Wright, Project Director of the three year Enlightened Burns project. Helena shared experiences from the project , successes and lessons learned as well as giving a fantastic illustration of how surprises can emerge unexpectedly ….. more here. A key outcome of the project was connecting young people with Burns. After hearing that our project would include school children researching Reverend James Young, buried in the Auld Kirkyard and featured in Burns’ “The Kirk’s Alarm” , Helena was kind enough to wish us every success. Helena remarked how throughout the life of their project HLF very much took on the role of enablers. Grants Officer Sara Wright began that process for the new grantees by taking us through the important aspects of ‘Managing Our Grant’ including start-up, progress reports, managing invoices and final evaluation against the aims of the project. Grants Officer Bobbi Campbell gave an overview of ‘Communications’ and shared examples of how grantees can deliver their commitment to publicly acknowledging HLF’s support of their projects. Attendees then split into small groups to consider the ”challenges that lay ahead’, ‘what they were looking forward to most’ and to ‘reflect on how their views on heritage had changed’. Although the range of projects was diverse the themes that emerged from the discussions were very similar, something from which we all took heart. On a personal note my own view on heritage has evolved from something that was a personal interest to a firm belief that it has a key part to play in regenerating our village, and importantly through involving the community in that regeneration. The day concluded with the opportunity to discuss elements of our project with our own HLF Grants Officer Catriona Macpherson and looking forward together to a successful outcome. This entry was posted in Funding and tagged Heritage, Heritage Lottery Fund, New Cumnock. Bookmark the permalink.